The Law Offices of David Guy Stevens, LLC has 100 years of combined experience handling DUI cases. If you have been charged with DUI (DWI), it is vital that you have an experienced and knowledgeable lawyer on your side. At the Law Offices of David Guy Stevens, LLC we know that a DUI conviction can change your life in an instant. You may lose your driver’s license or be forced to spend time in jail. To defend your rights and your freedom, you need skilled legal representation. The Law Offices of David Guy Stevens, LLC has experience successfully handling DUI cases. DUI charges can be complicated. There are many issues involved in every DUI charge. Each detail could greatly impact your case. A police officer has specific procedures he or she must follow and handle correctly. Being a former prosecutor, David Guy Stevens is very familiar with those procedures. He has worked closely with and has instructed law enforcement on all areas of DUI, including; field sobriety testing, breath instrument operation, and report writing. Your case will be thoroughly investigated. The Law Offices of David Guy Stevens, LLC will work hard to assure that your rights are protected. The Law Offices of David Guy Stevens, LLC provides strong, experienced DUI defense representation. We handle all types of DUI and DUI-related cases, including illegal drug and prescription drug-related DUI and DUI resulting in an accident with personal injury and death. This firm understands that every DUI case can be different – different client, different circumstances, different evidence. 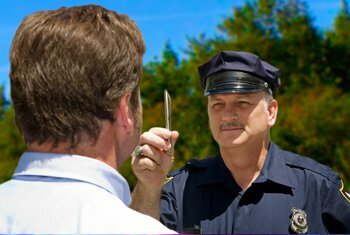 Northern Illinois and Suburban Chicago DUI attorney David Stevens views each case and each client as a unique circumstance. However, the commitment to aggressive representation and professional advice is consistent with each client. At a free initial consultation, David Stevens will look for ways to resolve the case with the least possible harm to the client, the client’s livelihood, and the client’s liberty and freedom. An experienced DUI lawyer should challenge the stop before proceeding to the merits of the state’s claim. David Stevens begins each initial visit by investigating why the client was stopped and how the evidence was obtained. If warranted, he will immediately file a petition in an endeavor to prevent the summary suspension of the client’s driver’s license. The Law Offices of David Guy Stevens, LLC can assist with the reinstatement of our driver’s license if it has been suspended or revoked for DUI. If you hold a commercial driver’s license, you may face harsh penalties for DUI even if you were driving your personal vehicle. Our attorneys will explain your rights and help you protect your privileges. In Illinois, the penalties increase if you are charged or arrested and subsequently convicted, for multiple DUI offenses. Not only are you facing felony charges with mandatory jail sentencing, but your driver’s license could be revoked for a period of 10 years, if not permanently. At the Law Offices of David Guy Stevens, LLC, we represent clients in multiple DUI offense cases in Chicago, Wheaton, Joliet, Aurora, Elgin, and Naperville, surrounding Cook, DuPage, Kane, Will and Kendall Counties.